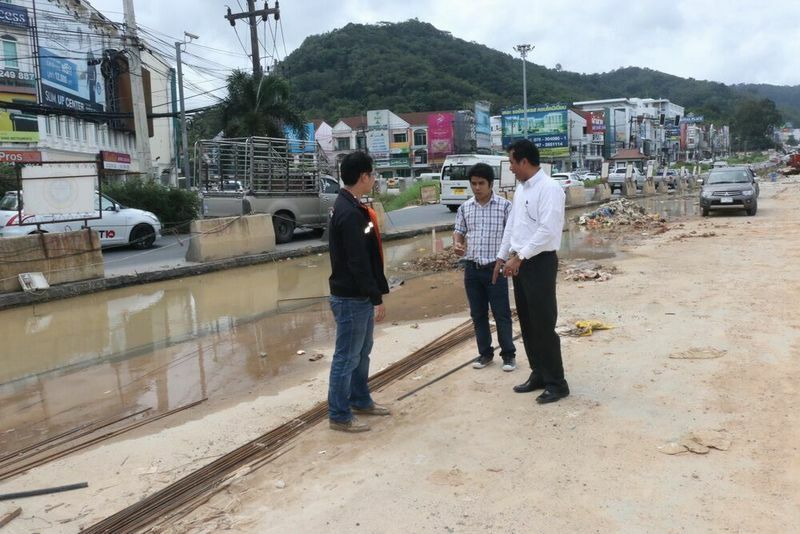 PHUKET: The Director of the Highways Department Phuket office, Samak Lueduanghad, has ordered the contractor for Samkong Underpass to urgently make major road repairs to make the roads past the construction site safe. 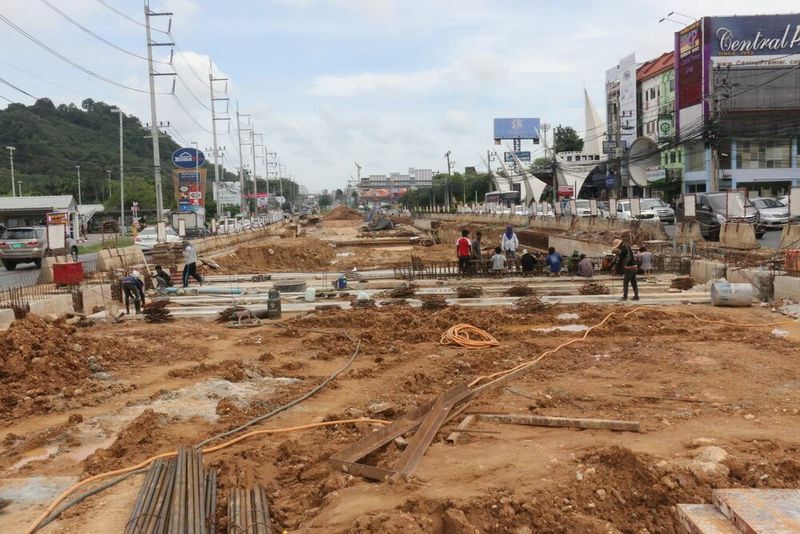 He has also criticised the contractor, Civil Engineering Co Ltd, and the government tender bidding process for failing to complete the project on time. 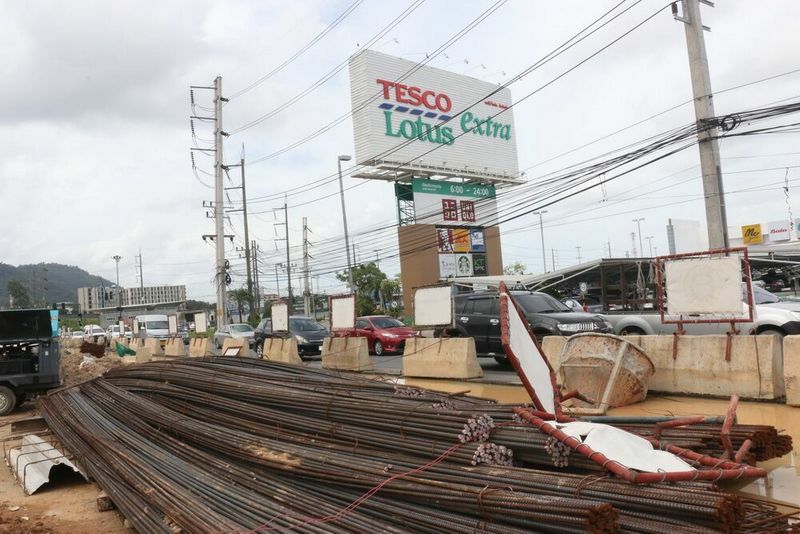 “We have expanded the lanes [past the site] as much as we could to ease traffic congestion, but we have still run into many problems,” he said during an inspection of the site yesterday (August 25). Mr Samak apologised for the project not being completed on time. “When the construction company signed the contract to finish the underpass on time and agreed to furnish it with all safety measures required by the Highways Department, we hoped the company would be able to deliver that. “Now we have been told that the company did its best to wrap up the project on time, but they have exceeded their deadline. They have failed to deliver the project on time,” he said. Mr Samak also flamed the selection process for the government contract to build the underpass. 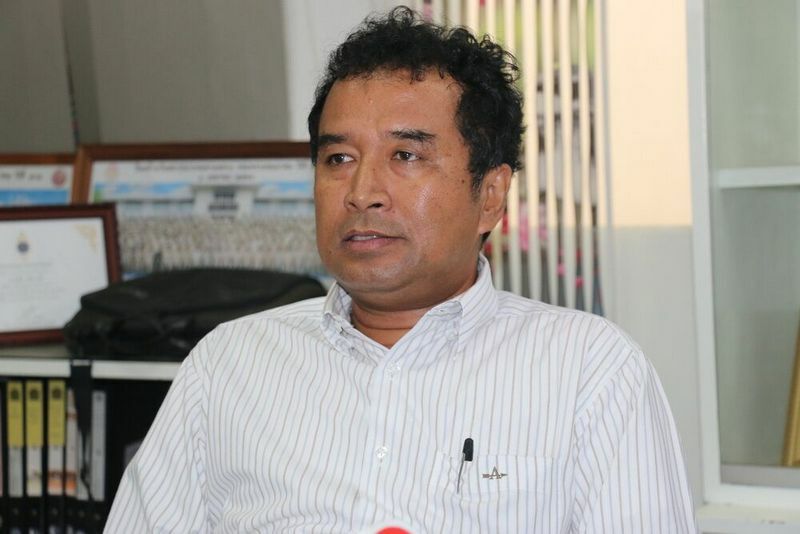 “Many construction companies are capable of getting the work done, but they did not bid for the project and government officials in charge of the hiring did not look for the best construction companies with the highest bid – but only focused on the qualified companies that had the lowest bids,” he said. “All over the country, big projects like this always face many problems. We feel sorry for residents and tourists that have to go through this because we have narrow roads and do not have alternative routes past this point. “We want this project completed as quickly as possible, but everything must be done in accordance with the agreement between us and the contractor. “Our apologies to everyone affected by this project. We have ordered the contractor to wrap up the project and open the underpass as soon as possible,” Mr Samak added. Original deadline: June 2015, now it is July 2016. 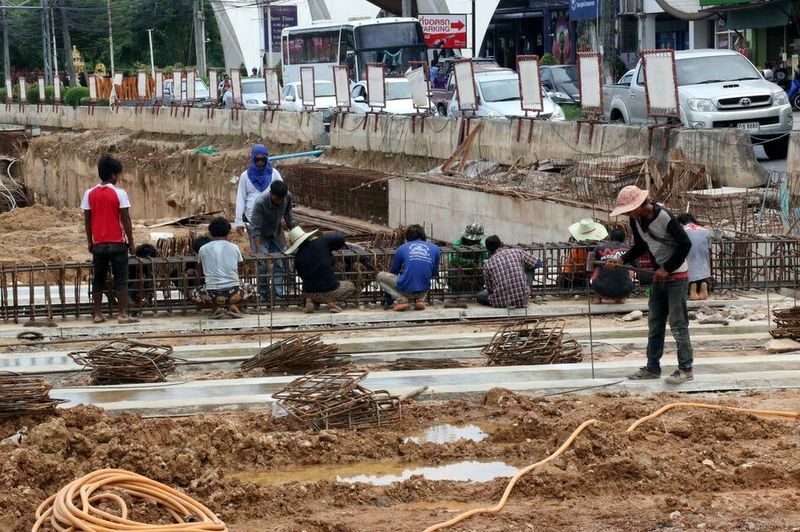 Many more months to go, seen the few number of workers. I am always laughing when a thai official from his aircon office 'orders' something. It means nothing, just looks nice as a statement. So, it is dumb and such official appears to be a clown. For sure with this underpass project. Instead of flaming the contractor there should be a flaming of the ones who contracted the project. As almost everybody commenting these projects a normal (ungreased) mind would have decided in favour of a overpass. A flyover would have been finished months age with less disruption of traffic, but there is a chance it would have fallen down due to questionable construction. 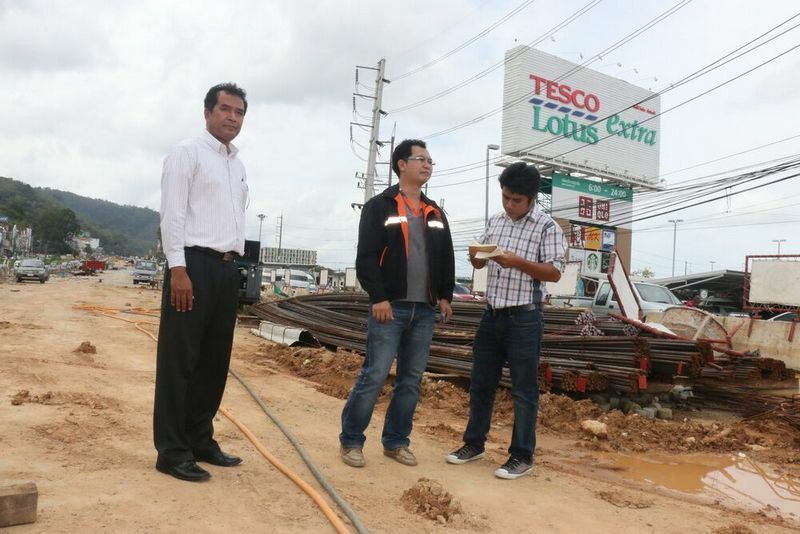 Phuket Opinion: Lack of infrastructure planning – caprice or coincidence?